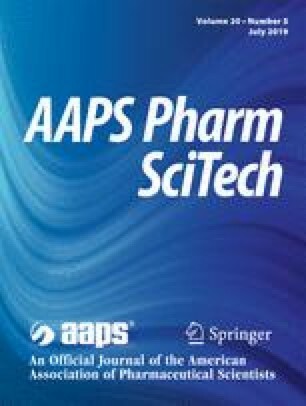 This review highlights in vitro drug dissolution/permeation methods available for topical and transdermal nanocarriers that have been designed to modulate the propensity of drug release, drug penetration into skin, and permeation into systemic circulation. Presently, a few of USFDA-approved in vitro dissolution/permeation methods are available for skin product testing with no specific application to nanocarriers. Researchers are largely utilizing the in-house dissolution/permeation testing methods of nanocarriers. These drug release and permeation methods are pending to be standardized. Their biorelevance with reference to in vivo plasma concentration–time profiles requires further exploration to enable translation of in vitro data for in vivo or clinical performance prediction. Teledyne Hanson Research. Vertical diffusion cell 6-cell manual diffusion test system. https://hansonresearch.com/diffusion-testing/manual-diffusion/. Accessed 14 Aug 2018. Thermo Fisher Scientific USA. Slide-A-Lyzer™ MINI dialysis device, 10K MWCO, 2 mL https://www.thermofisher.com/order/catalog/product/88404. Accessed 20 Aug 2018. Organisation for Economic Co-operation and Development (OECD). Joint meeting of the chemicals committee and the working party on chemicals, pesticides and biotechnology guidance notes on dermal absorption series on testing and assessment no. 156. ENV/JM/MONO(2011)36. 2011. https://www.oecd.org/chemicalsafety/testing/48532204.pdf. Accessed 10 Nov 2018. Sakore S, Chakraborty B. In vitro-in vivo correlation (IVIVC): a strategic tool in drug development. J Bioequiv Availab. 2011;8(4). https://doi.org/10.4172/jbb.S3-001.